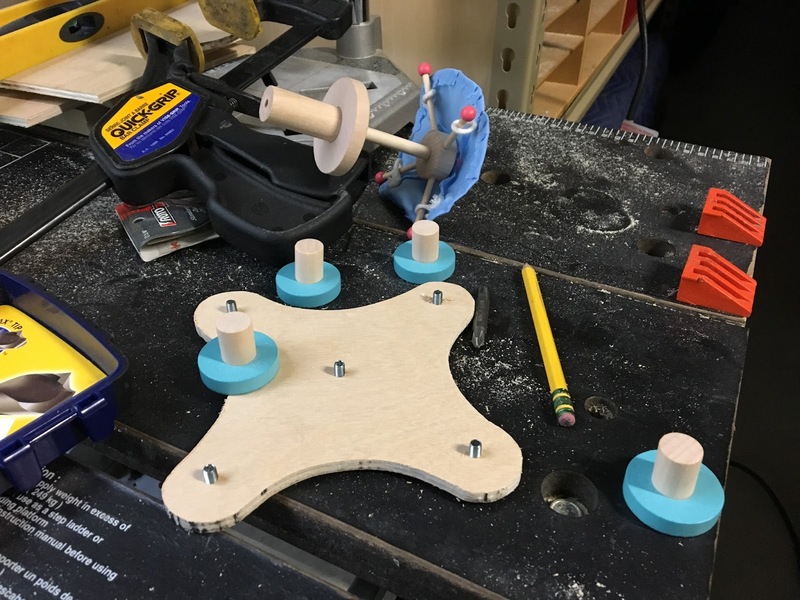 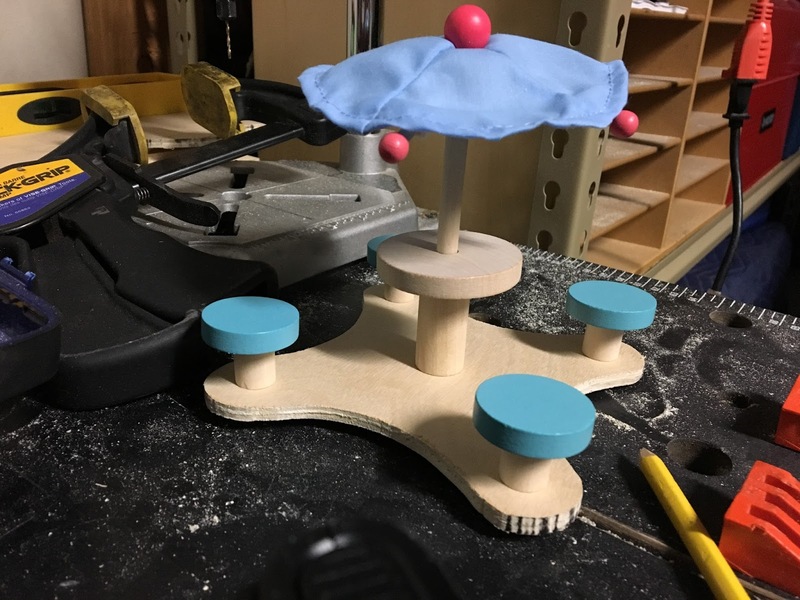 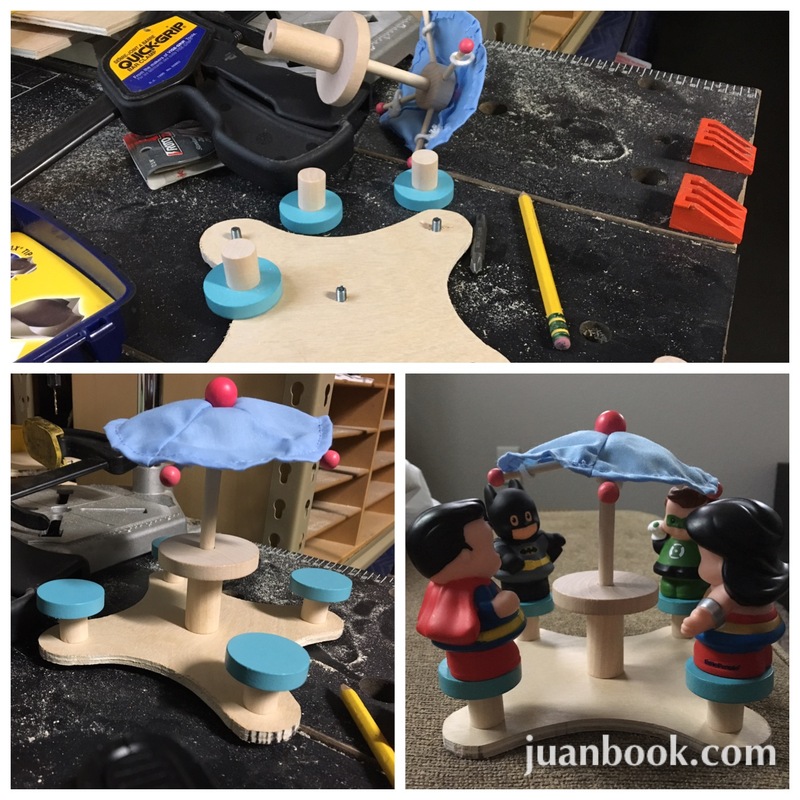 I used a square and the tops of the stools to draw the small radii and a compass for the larger radius my jigsaw for the cuts and my drill for the holes. 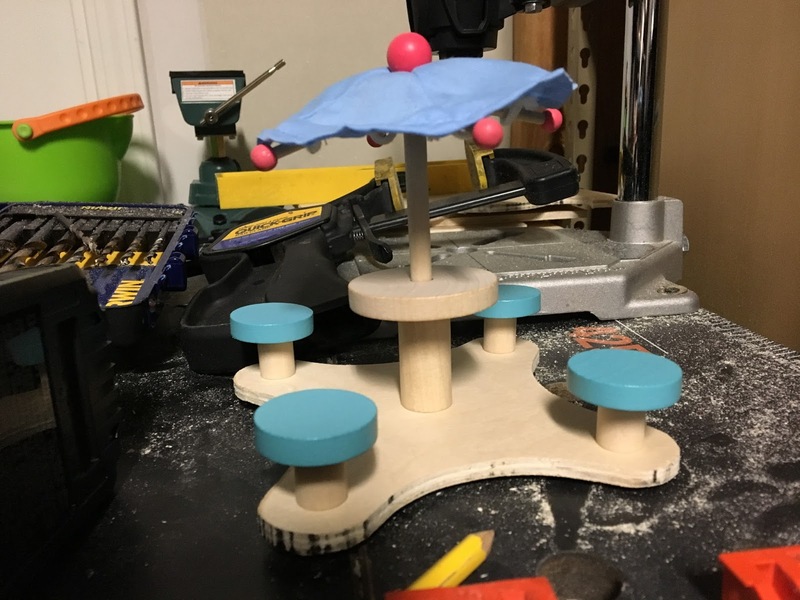 I drilled holes in the stools and the patio table threaded some button-head bolts through the base and screwed the table and chairs to the base. 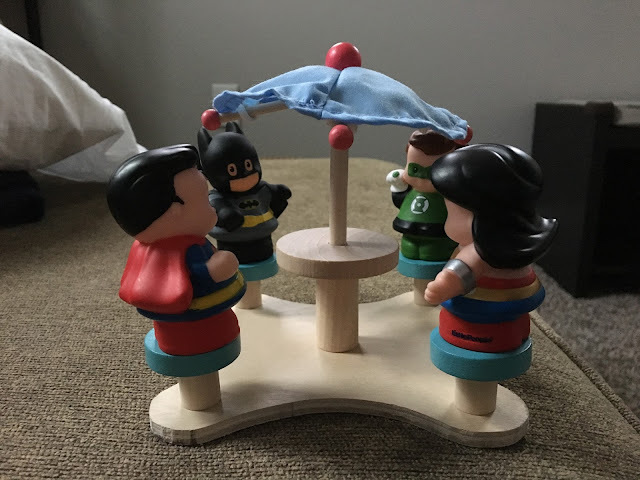 The Super-friends and my daughter are much happier now! Music: MILCK & GW Sirens Perform "Quiet"